Strömma provides experiences, activities and entertainment for business and leisure, resulting in memories that will last a lifetime. To facilitate their work, we conducted a variety of surveys where the relevant manager received quick online feedback about the results. Comparisons over time and between operations provide a good governance tool for product development. We produce a Customer Satisfaction Index (CSI) for all businesses. We use a variety of methods depending on the target group: Paper questionnaires and online questionnaires. 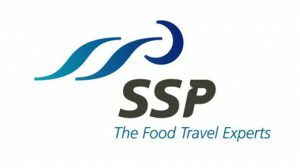 SSP operates restaurants, cafés, bars and stored from Malmö in the south to Luleå in the north. In Sweden, SSP has around 750 employees, serving 30 million guests each year. Most employees work as baristas or café hosts/hostesses, bartenders, cold buffet chefs, chefs, lounge hosts/hostesses, floor runners, waiters/waitresses or store clerks. Through skill training, they continue to constantly develop. The results from annual employee surveys form part of the foundation for this development and also make it easier to track each unit’s results and identify areas for improvement. 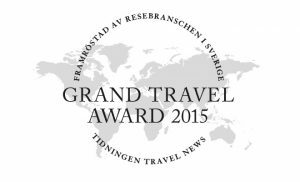 Every year, on behalf of Travel News/RES, we conduct the survey that form the basis for the Grand Travel Award. We have conducted this survey now for almost 25 years. It is an industry award to the best stakeholders in the travel and tourist industry, where the winners are appointed based on evaluations from more than 1,000 people within the travel industry. Since 2003, industry managers have also voted on a Manager of the Year award for the travel industry. SIS is an organisation that works with standards, both in developing them and spreading awareness of them. In international partnerships, Swedish interests are safeguarded and the aims is to streamline the process of developing and introducing new standards. We assist SIS in a number of different fields. Recurring surveys with participants in the Technical Committees with the aim of mapping how the partnerships work and SIS role in it. External and internal image surveys with the aim of continuously tracking the extent to which SIS succeeds in communicating and managing their remit. The survey is conducted through phone interviews and online questionnaires. Erikshjälpen Erikshjälpen Second Hand Butiker is a non-profit organisation that collaborates with local associations and congregations in Sweden. Since its inception in 1990, the operations have grown to comprise around 60 stores, including one in Norway. The aim of the stores is to generate funds for aid, both in Sweden and abroad. From a children’s rights perspective, Erikshjälpen focuses on children’s right to education, health, safety and protection. Erikshjälpen also works with children in Sweden and in disaster areas. Fürst Scandinavian Research assists the organisations, Erikshjälpen Second Hand and Erikshjälpens Insamlingsstiftelse in conducting employee surveys. The organisation includes various forms of employment categories, from white collar workers and volunteers to people in employment programmes from Arbetsförmedlingen (the Swedish Public Employment Agency), Försäkringskassan (the Swedish Social Insurance Administration), etc. Hemavan alpint Hemavan Tärnaby is northern Sweden’s largest ski resort and offers astonishing skiing in a stunning mountain setting. 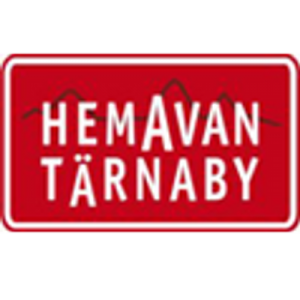 Hemavan and Tärnaby are two towns in Lapland offering skiing at all levels of skill. Hemavan’s ski resort has a total of 10 lifts, 50 pistes, 2 snow parks and one Ski cross arena. Hemavan is also home to the freeskiing paradise Kobåset, which by many is considered the best freeskiing area in Sweden. Tärnaby has 5 lifts and 30 pistes, among them the celebrated Ingemarbacken, Ringbranten and Anjabacken. For many years, we have conducted Hemavan Alpint’s guest surveys, surveying everyone who stayed at their resorts or skied down their pistes. We do this through online questionnaires that are answered when they have returned home.